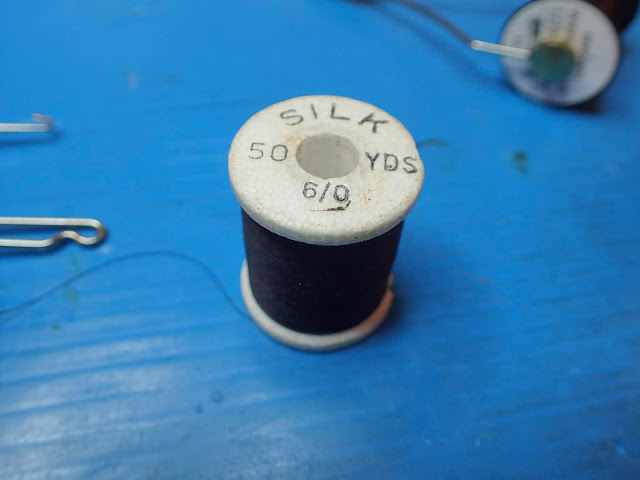 When I started tying flies in the early 1970's all I had for thread was silk thread. I mainly used Herter's 6/0 black silk thread. It was pretty much all I could find at the time, and although it worked, it was hard to work with. 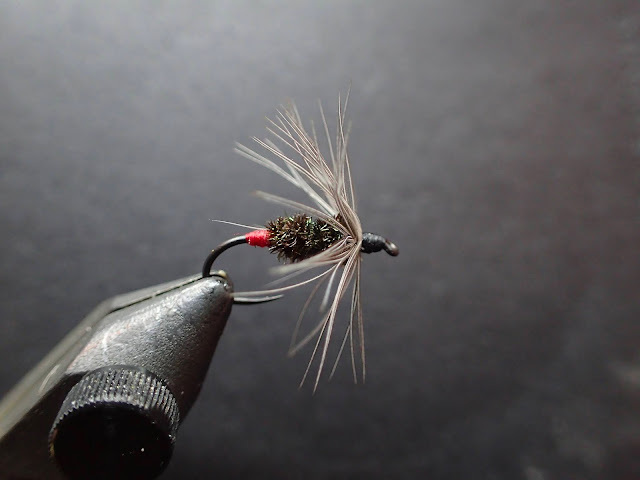 It would break with the slightest pressure, even when waxed, making tying flies a challenge for a 13 year old boy. I still have a few spools that I keep around just for sentimental reasons. Over the past few decades I've mainly been using Uni thread. I started using it when I tied commercially for many fly shops throughout the west. It's been great with all its available colors and thread denier. It's quite tough and very versatile. I've got a wall full of different threads ready for tying. Recently, on a visit to DRAGONtail tenkara's home office, I was introduced to Semperfli Classic Waxed Thread. Brent has been getting this thread into the shop and asked if I would like to try some. I said I would and chose a spool of 12/0 black. I figured 12/0 would be a good test for my "all thumbs" tying approach. The Semperfli thread was a joy to tie with. It was very strong for it's thread diameter and was easy to use. It didn't fray or chafe (likely because it comes pre-waxed). It would lay flat on the hook shank, but was also easy to twist into a round cord. It grabbed the materials well and laid down a beautiful whip finish. Needless to say, I was very impressed. The other thing that is impressive is that it comes with 240 yards on a spool. Uni waxed thread spools are 200 yards and Veevus thread spools are 100 meters (109 yards). 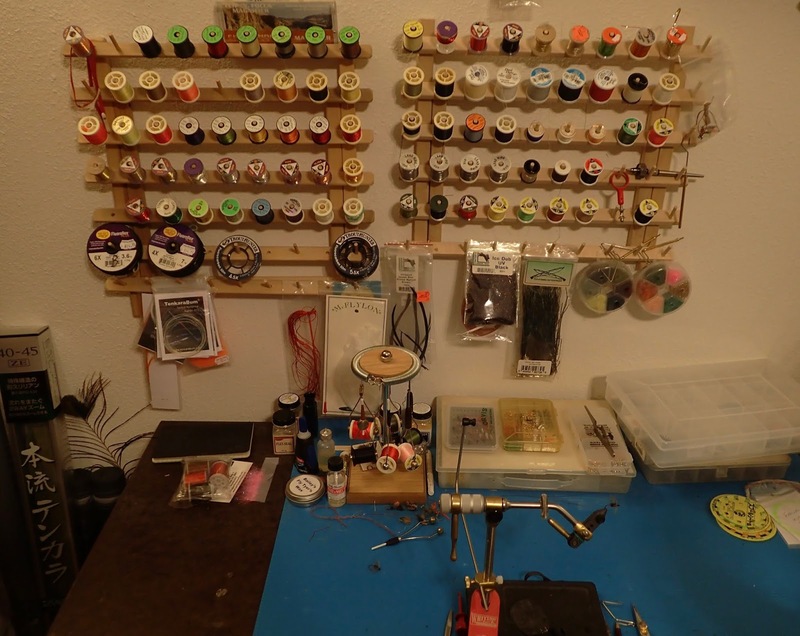 That makes Semperfli and Uni at 1.6 cents per yard, while Veevus is 2.8 cents per yard. Conclusion: If you a tie your own flies, you owe it to yourself to try out Semperfli Classic Waxed Thread. It's an excellent thread that is available from DRAGONtail in either 6/0, 8/0, or 12/0. It's a wonderful time to be a fly tier. So many excellent materials are readily available. It sure beats the old days! Tom excellent review. I like you have tried many threads. I have been a fan of good old Danville 6/0 for most of my tying with exception of silk of which I use Pearsalls or YLI. I did try Nano Silk and did not like it. I will however look into this product. 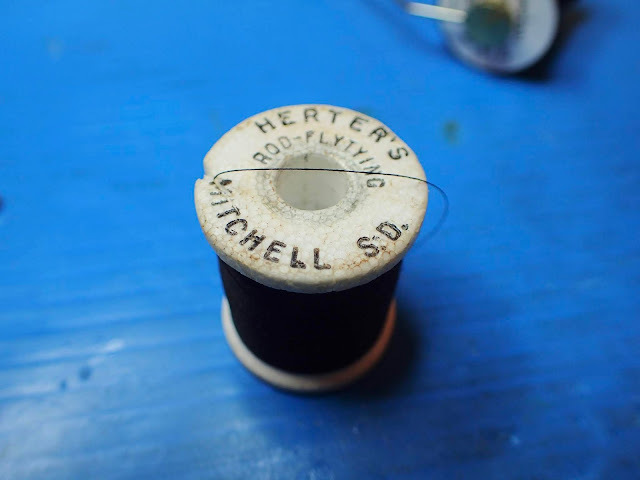 By the way nice Herters thread. Thanks for the quick review. I'll have to try it out. My favorite by far is Uni. For the longest time before using Uni, I waxed my own because I never found a pre-waxed that I liked. Thanks again.